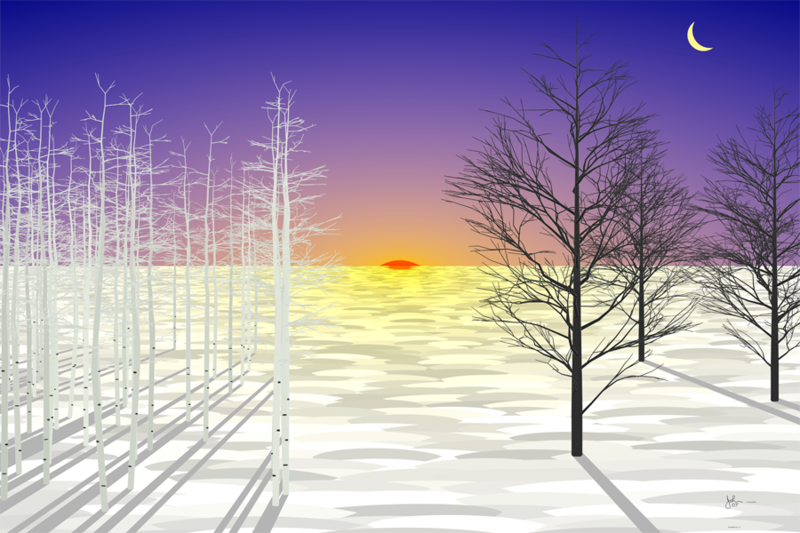 A crystal-clear but chilly midwinter sunrise with drifted snow on the ground. Barren aspen-like trees on the left and generic deciduous trees on the right. The sun is coming over the horizon as an orange ball, while the crescent moon is about to fade. The first rays of the rising sun make long shadows from the tree trunks. If you don't get at least a small shiver from this you have never lived in a cold climate.